?If you decided to work for the good of the people, then you need to be able to withstand anything. You need to move forward, to advance. Primarily, you need to have compassion for people. If you lack compassion, if you do not believe in people, then do not go into politics,? 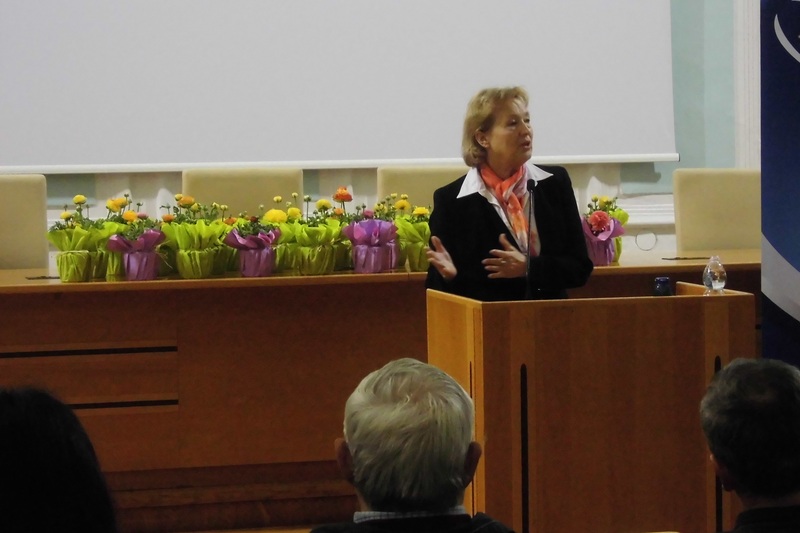 stated MEP Zofija Mazej Kukovič at the start of her address in Nova Gorica. ?There will always be those that will criticise you, making you want to quit. However, I myself believe in those who are good and hardworking.? On 25th March, Zofija Mazej Kukovič took part in a round table discussion ?Kickstart Europe, Kickstart Slovenia? in Nova Gorica. 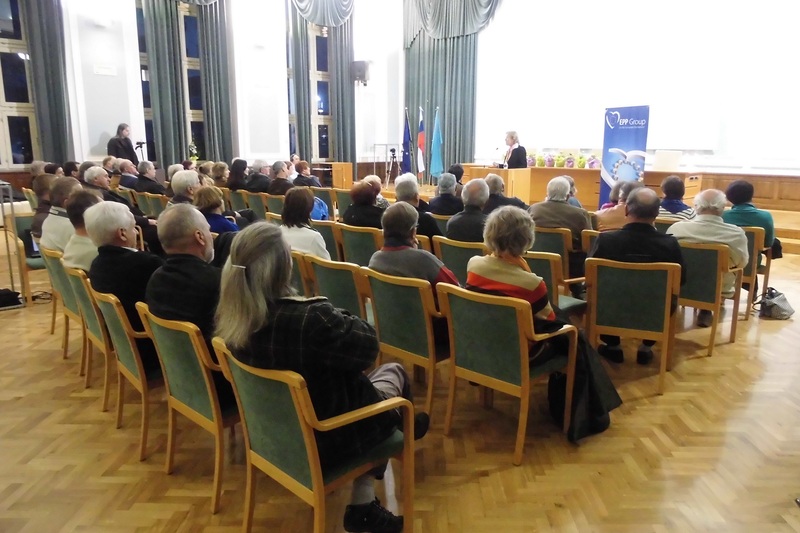 The goal behind the round table was to bring supposedly distant European politics closer to the people of Slovenia and to discuss European efforts at finding solutions to the crisis. ?Today, while most countries have already returned to economic growth, Slovenia unfortunately remains in the last place. There have always been crises, but you find solutions by thinking of people. We cannot have a full retirement or healthcare fund if we do not allow people to work. There is plenty of work, but not enough jobs.? At the same time she emphasized that today, entrepreneurship is the key to finding solutions. However, the biggest obstacles remain on the state level, where people often give up before even receiving any funding. ?Where does the problem occur? Funds are available, but bureaucracy is more complicated than anything else. In the last Financial Framework 2 billion euros of financing remained unused. Can you even imagine how much money that is? At the same time, 5.000 euros should be enough for everyone to create something new. But for this money to get to the individual, the state must first function normally.? She also pointed out that there are several on-going projects at the EU level, such as COSME and Horizon 2020, which will enable a more direct way of accessing funding and at the same time will simplify bureaucratic procedures for individuals. MEP Zofija Mazej Kukovič continued by saying: ?Why is there no-one writing on where we will be working tomorrow? Where will all the unemployed go? This is why I decided two years ago that, as an individual, I will connect European politics with practical solutions. Employment can only occur with economic growth. Since that will not happen quickly enough, we have created the Food for Health and Jobs competition. We need to find opportunities in the soil.? Today in Slovenia one out of three young people is unemployed. Young people do not know how to move forward. Nevertheless, Zofija Mazej Kukovič made it clear that it is important for them to motivate themselves and find work on their own. ?Unfortunately for decades working with soil was considered as something disgraceful. This is why young, university-educated people never even consider cultivating the land. However, it is important for our youth to find new opportunities, even if they find them in the soil and upgrade them with new skills. Not just the young, also older people that have lost jobs.? It is for this purpose that the Kickstart Europe team presented several excellent Slovenian and foreign practices which successfully use natural advantages and link old skills with modern solutions. ?We also need intergenerational cooperation, so that you, the older generations, can pass on all of your knowledge and experience to the young. Young people were born with the internet, which enables them to use this knowledge to create completely new solutions. ?